Mahalo for voting Nohea Gallery ‘best Honolulu art gallery’ once again! Mahalo too for choosing real made in Hawaii art, artisan-made jewelry, turned wooden bowls and boxes, ceramics, fine woodwork, and locally made quality gifts by contemporary Hawaii artists and artisans. The artists and artisans thank you for choosing their work! While we usually leave it to others to use terms like this, we so appreciate your votes. Together we bring beauty, give beauty, share beauty, create beauty, and none of it could happen without you. Mahalo! When we opened in 1990, Mom and I could never have dreamed of the friendships we would forge with our team, artist, and guests from around the world. As soon as we think we’ve got things figured out, we find ourselves learning new lessons together again. We’ve learned that it’s all about the art, not about us. We’ve learned and continue to learn to be grateful and enjoy the tremendous beauty we’re surrounded with from the minds and hands of local artists every day…what a joy. We’ve learned to appreciate the moments along the way that we can pause together and reflect on accomplishments, big and small, made together. We continue to reflect on the main question, how can we help move this effort forward and improve our work together and as individuals? Save the date! 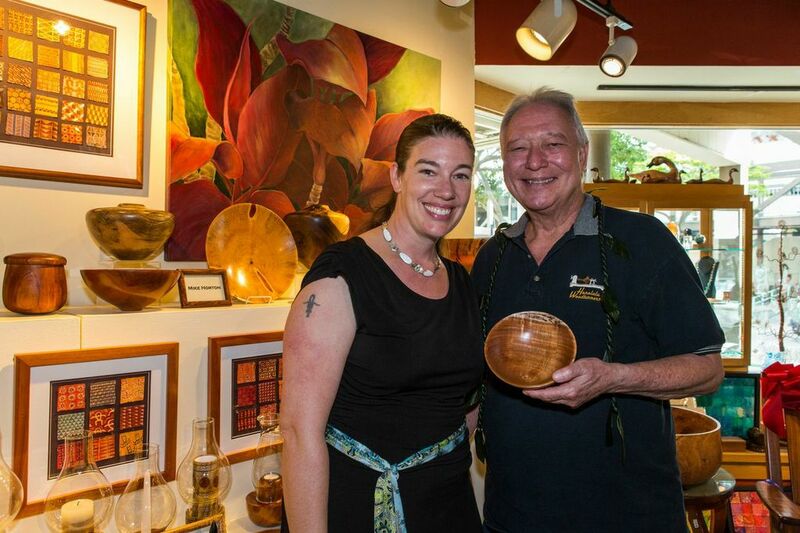 The 2014 Honolulu Woodturners Show & Demonstrations are August 16th at Nohea Gallery..